Catawba Brewing Co. is adding a Queen City location. Billy Pyatt, co-founder of the Morganton brewery, told the Charlotte Business Journal that it will open a 10-barrel brewhouse and tasting room in the Belmont neighborhood, near the Plaza Midwood. It will occupy 10,000 square feet at 933 Louise Ave. — the former Kellogg’s bakery facility. It is expected to open in early 2017. “This building has such potential,” Pyatt says. 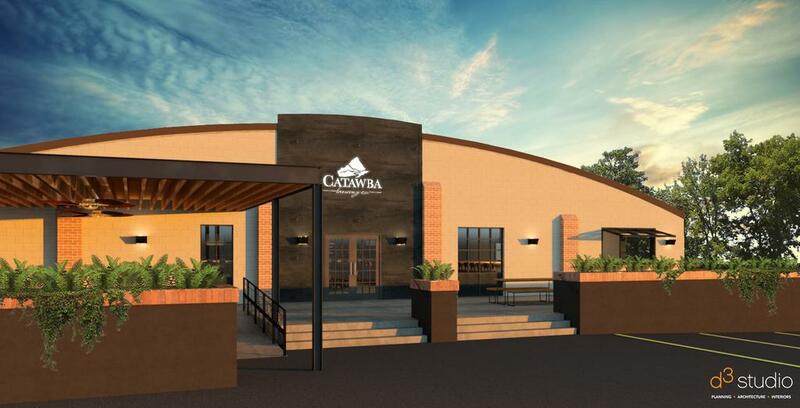 The Charlotte facility will be Catawba Brewing’s fourth location — and its third brewery. This expansion is an opportunity to learn, as well as contribute to what is already a vibrant beer scene, Pyatt says. He’s been selling beer in the market for the last 15 years. Plans call for a 6,000-square-foot tap room. That space will have elements of Catawba’s Asheville and Morganton locations, but the design will have a bit more modern, sleek and clean feel, Pyatt says. Roughly 4,000 square feet will be dedicated to manufacturing. That space will also house Catawba’s 22-ounce bottling line. Construction on the interior is expected to start in the near future. In total, Pyatt expects to invest north of $1 million into the Charlotte space. That includes transferring 10-barrel brewhouse equipment previously used in the Morganton brewery. “It’s big money. It’s a big bet,” Pyatt says. 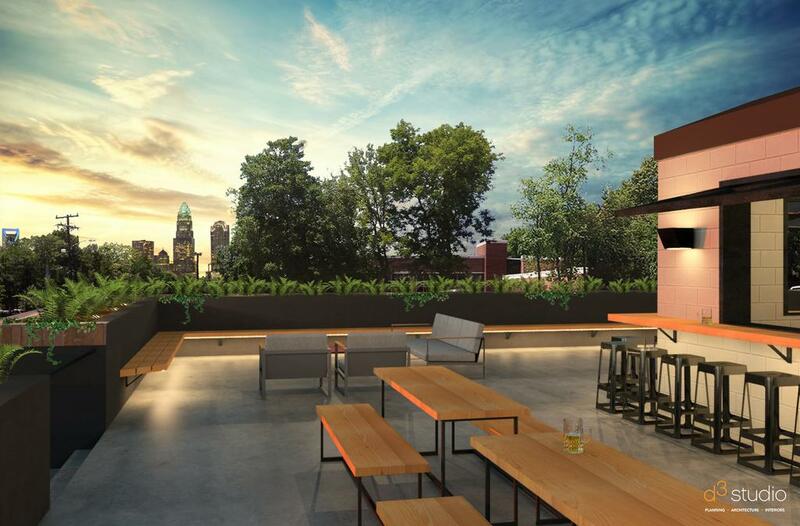 Charlotte architecture and interiors firm D3 Studio has been tapped for the project. The firm is excited to play a role in Catawba’s entry into the Charlotte market, says managing partner Scott Betzold. “This is an important project for the currently transitioning neighborhood of Belmont, but its location is also perfectly positioned to serve Plaza Midwood and uptown. I am certain they will do well,” Betzold says. The project also helps Catawba Brewing keep up with its ongoing growth and address capacity issues. Catawba current operates 30-barrel production facility and tasting room in downtown Morganton. It also has a 7-barrel brewery in Asheville’s South Slope area and a tasting room in Biltmore Village. Catawba Brewing has invested $2.7 million into its facilities in Morganton and Asheville in the last 18 months. It expects to brew 13,000 barrels this year, with up to 70 different beers created. That includes the well-known White Zombie, a Belgian white ale, as well as chocolate stouts, sour and fruit beers and IPAs. “We’ve been on quite a roll,” Pyatt says. That’s a far cry from where he started. Pyatt’s wife, Jetta, bought him a homebrewing kit in the mid-1990s. That meant brewing five gallons of beer at a time on a stove top. “I feel in love and became enthralled with it,” Pyatt says. By 1999, the couple, along with his brother Scott were ready to give it a go commercially. Pyatt remembers the early days when he would take 10 kegs of beer to Asheville to sell. Those sales would give him the funds to produce 10 more. “That’s how our business started,” he says.